My dog, Izzy the chocolate lab, seen here enjoying the autumn yet scrutinizing the photographer. Guess who turned one year old today? It’s the birthday bug, Izzy the chocolate lab! Time flies when you’re chewing marrow bones. I suspect that it’s time for a tall, bearded fellow to tell her, “You’re a hairy…Wizard.” And maybe that’s because she hears that everyday. (“The Wizard” is one of her nicknames.) Happy Tuesday from Izzy and me to you. 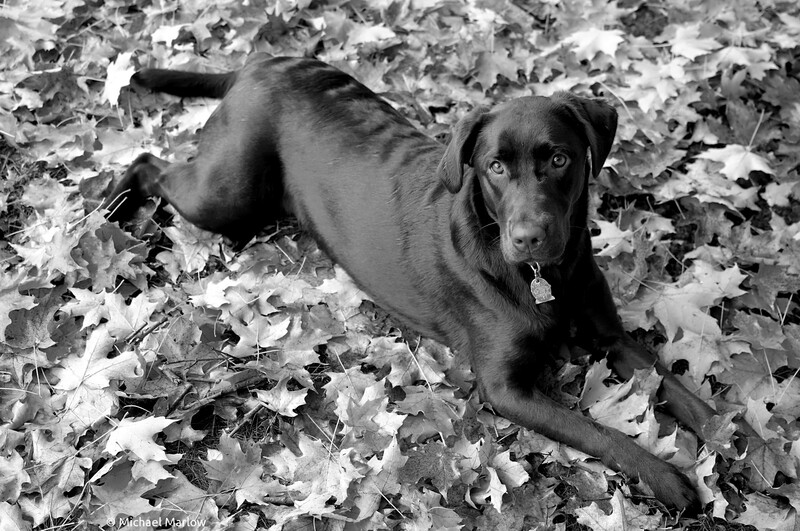 Posted in Not a BugTagged autumn, black and white, chocolate lab, dog, happy birthday, labrador retriever, leaves, monochromeBookmark the permalink.